The Schwarzhorn is one of the outlying peaks of the Monte Rosa massif. The Schwarzhorn, or Corno Nero, located to the south of the Ludwigsspitze, was the last peak of the Monte Rosa massif to be conquered. Like the Balmenhorn, it belongs to the extended list of 4,000-metre peaks. It rises only 50 metres above the surrounding ice, but the rocky outcrop is black and easily recognised. No fewer than 12 summits in the Alps bear the name Schwarzhorn, and while the Schwarzhorn in the Monte Rosa massif is the highest, it is by no means the best known. It can be reached on skis in winter and spring. The Schwarzhorn is located between the Colle Vincent and the Colle Zurbriggen, not far from the Balmenhorn. The southern side of the Schwarzhorn is a dark, steep rock face. 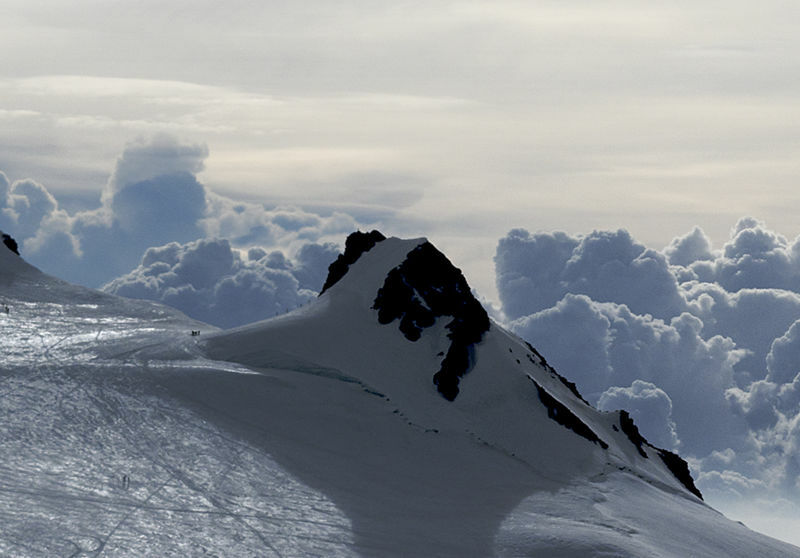 The Monte Rosa massif has about ten peaks higher than 4,000 m: Dufourspitze, Grenzgipfel, Ludwigshöhe, Nordend, Parrotspitze, Signalkuppe, Vincent Pyramid, Zumsteinspitze and the Schwarzhorn. The rocky summit appears black compared with the neighbouring peaks.